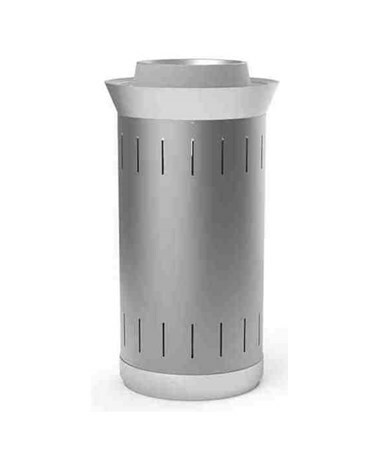 The Magnuson Group Lausanne Waste Receptacle is an attractive and functional addition to any outdoor environment. 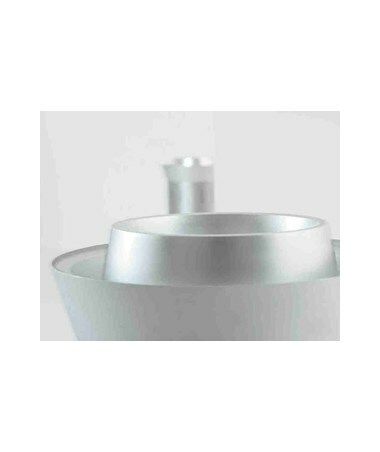 Designed by Toni Arola, it features a vented cylindrical body with a silver aluminum top and base. It has a large capacity of 32 gallons. The Magnuson Group Lausanne is made of steel plate. It comes in either a textured anthracite or a satin stainless-steel body. 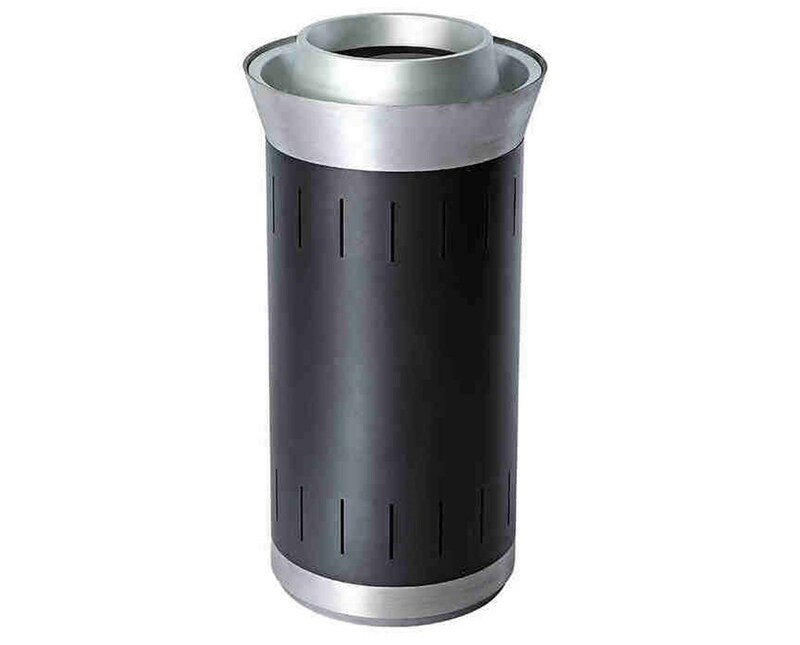 The textured anthracite wastebasket is suitable for outdoor use under cover, while the stainless-steel model is suitable in any area of the outdoors. 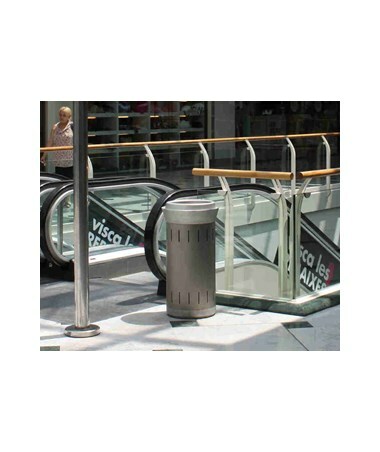 All units include an internal bag ring. 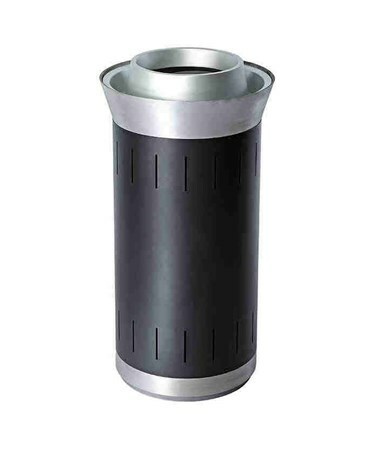 This waste receptacle is also available in two heights: 31 ½” or 33 7/16”. The diameter remains the same at 17 11/16”. This product weighs 47 lbs. It is also covered by a 2-year warranty.